Decadent chocolate cakes with chocolate filling and chocolate icing are all made possible by cocoa powder. The powder on its own is just pulverized cocoa solids of chocolate without the cocoa butter and not very appetizing. Cocoa powder added to cake batter makes for delicious desserts. 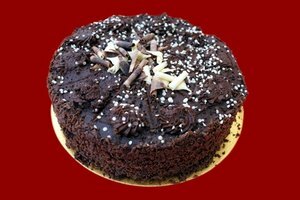 Cocoa powder is used to add chocolate flavor without adding to the high fat content already found in cake recipes . Carob powder has a similar taste to chocolate with a slight honey aftertaste. 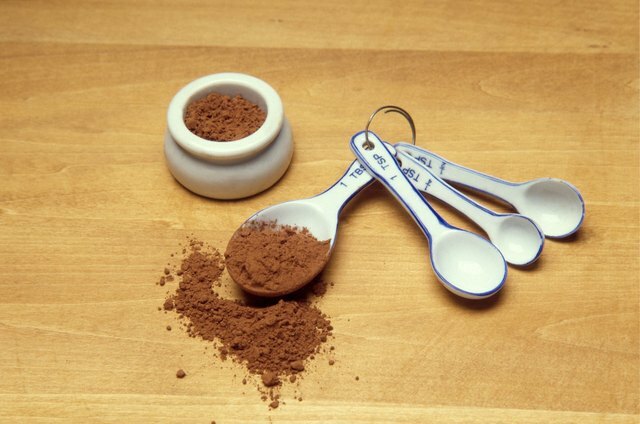 You can substitute an equal measure or carob powder for cocoa powder. Carob powder is not as potent as cocoa powder, so you might want to use more if you prefer a strong flavor in the cake. 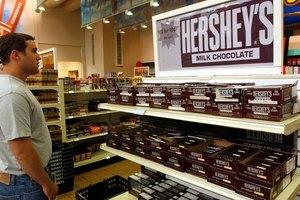 Melted sweetened or unsweetened chocolate can be used as a substitute for cocoa powder. When using melted chocolate to substitute for cocoa powder, reduce the amount of fat to make up for the added fat in chocolate that is not in cocoa powder. For one tablespoon of cocoa powder use one square of melted chocolate or .33 ounces and reduce the fat by one teaspoon and the sugar by one tablespoon if the chocolate is sweetened. You can also leave in the extra fat and sugar when the difference is minimal and the cake will come out richer. Somewhere in commercially produced hot chocolate mixes is cocoa powder. The already sweetened mixes also include milk or cream powders, sugar and flavoring. You can substitute cocoa powder with these mixes but make sure to account for the extra ingredients. Reduce the amount of sugar and milk in the recipe based on the percentage of cocoa powder in the mix which you can find on the label. 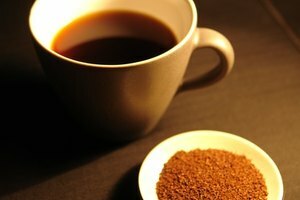 Dutch processed cocoa powder, darker and richer than cocoa powder, is basically cocoa powder without acidity. 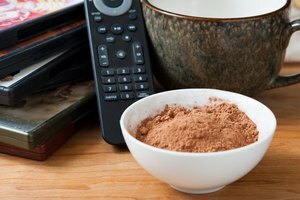 You can substitute one tablespoon of dutch processed cocoa powder for one of cocoa powder by replacing the acidity with a just a pinch of cream of tartar or baking powder or a drop of lemon juice or vinegar.